Having a hard time thinking of what to get your friends or loved one something special? I love receiving personalized gift from others because it gives the impression that he or she spent time doing something for you. This does not mean that if I receive something that is not personalized, I do not appreciate it okay. Let me share with you a recipe that requires minimal effort and you can either present it as a gift or serve it during Christmas party. 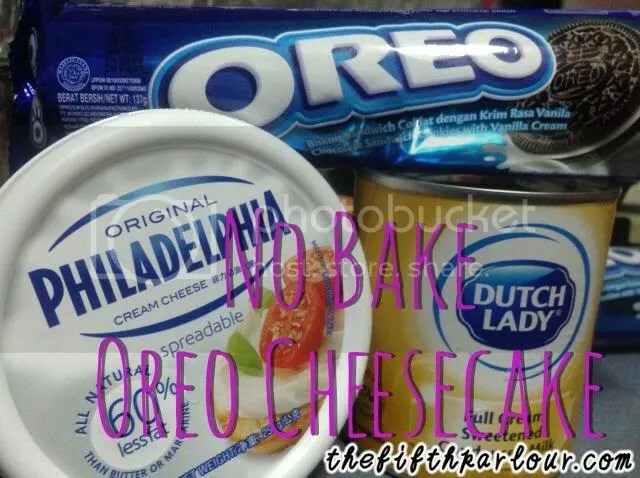 When you combine oreo and cheesecake, you will get oreo cheesecake! This recipe does not require any baking experience. Lets get down to business. Step 1: Place the 14 oreos in a zip lock and start hitting it. Ensure that it is all crushed into bits. Step2: Beat the cream cheese until soft. Then add in one and a half tablespoon of condensed milk (up to your preference) and add in around 4 Oreos. 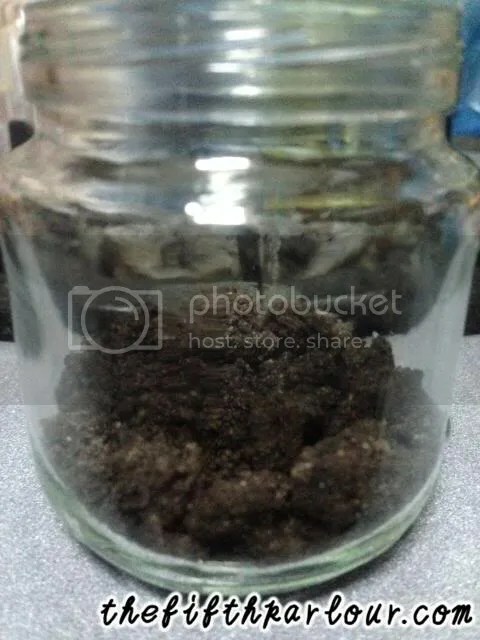 Step 3: Add in the crushed oreos into the jars. Divide equally. Leave some for the toppings. 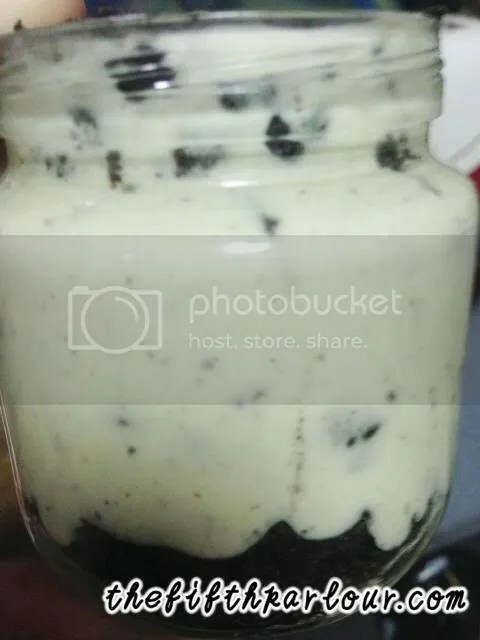 Step 4: Scoop the batter into the jars and cover the top with the left overs oreos. Step 5: Refrigerate it for at least 4 hours before consuming it. With these five steps, you will be able to give it to your friends as a mini gift accompanied it with a card. Decorate it with some ribbons and personalised it. You can also serve it during Christmas party. This recipe is good for small jars featured about. The small jars featured above were actually a baby food container. 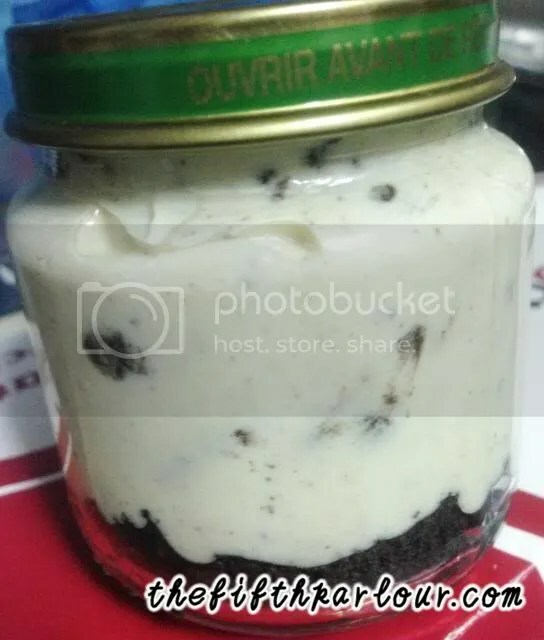 If your jar is similar to the size above, then the batter is good for 4 jars. 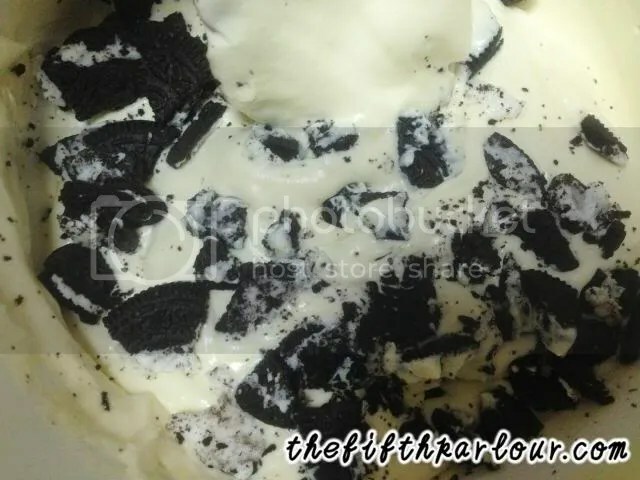 After consuming it, I would suggest that you add a few layers of the crushed oreos after adding the batter so that it would add more flavour to the cheesecake. Else, you will be mostly eating cream cheese and when you are done eating the cream cheese, you will find your oreos.